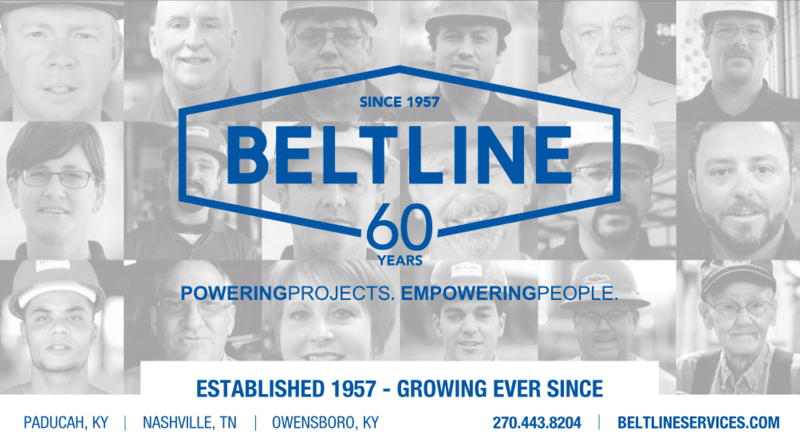 Beltline is a leader in both their craft and civic involvement in Western and Central Kentucky. As their vision for expansion grew, so did their need for better communications with their market and growing team of almost 150 people. This process began with a completely updated brand and repositioning. The logo was redesigned to to encompass the past and embrace the future. The Tagline “Powering Projects. Empowering People.” was crafted to capture the full gambit of both their “why” and “what”, and tap into their true mission of driving progress and helping people. As the market continues to change, communication must also change. With this in mind, the entire website design was also optimized for mobile as well as desktop devices. The ease of navigation is key to the design and function of the website. 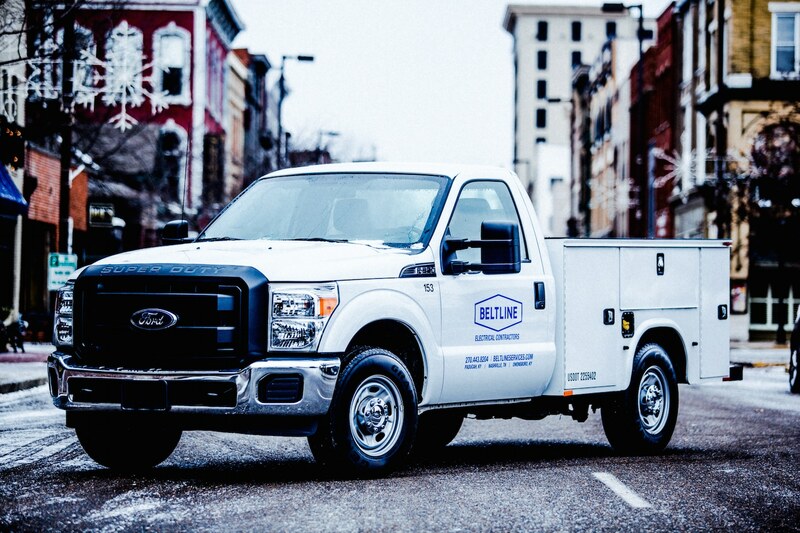 Beltline’s website needed capture both their commercial and industrial service offerings as well as be easy to navigate for their employees and customers. It’s unique horizontal and vertical navigation make it easy to use on desktop or mobile and is one of the cleanest designs we’ve seen for a company in their field. 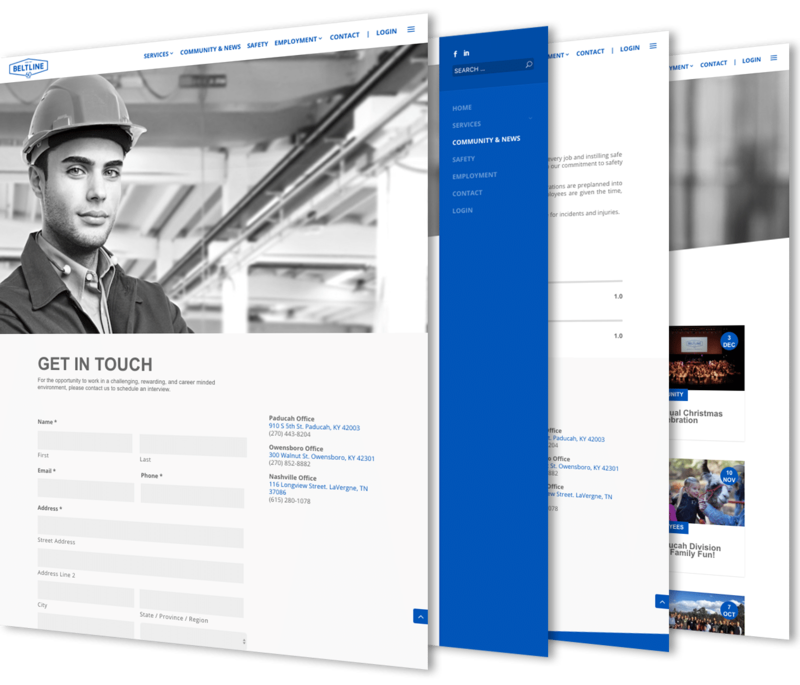 Beltline’s website needed to capture both their commercial and industrial service offerings as well as be easy to navigate for their employees and customers. It’s unique horizontal and vertical navigation make it easy to use on desktop or mobile and is one of the cleanest designs we’ve seen for a company in their field.